18k Gold, and a choice of All Sapphires, or Sapphires with a center Diamond. The cross is 2 inches high and 1 and 1/2 inch wide. It weighs 12.7 grams. 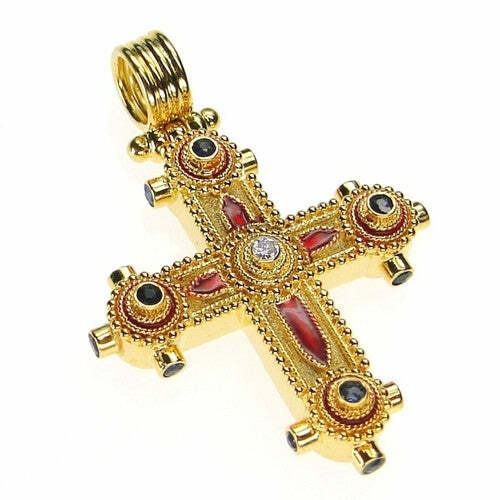 A similar, smaller cross is also available here.